Many times freelancers spend all day working through their freelance projects and yet they are unable to deliver much. Such a problem is more common with freelancers who have started working only recently. Since there is no boss around to keep you in line often the freelancer doesn’t even come to know what they’re lacking. Time moves forward and when it’s time to pay their bills they realize that they haven’t made enough to keep them floating. The solution to this problem is an appropriate time management. Time management is an essential art that straightaway play a major role in one’s success. It is crucial that a freelancer knows how to take full benefit of time management. 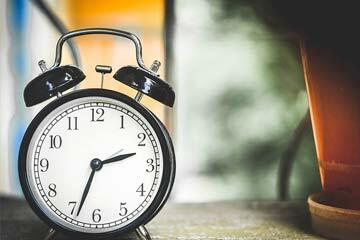 In this article we’re going to talk about how to manage your time efficiently as a freelancer. First of all, you need to learn a certain things about yourself, since time management requires adaptation based upon your habits. You should find out the most productive hours for yourself in a day, and also most productive days of the week. Some people love to work early in the morning, while some late in the night. Find out your peak hours where you’re able to work maximum with maximum creativity (since writing and creativity goes hand in hand). List them down on a piece of paper. What freelancers usually consider the most favorable benefit of freelancing is freedom. However, that freedom could turn into a curse for the lack of discipline. All work and no play would make you dull, while all play and no work would make you bankrupt. You need to warily maintain the balance. At the beginning making a schedule, working out through meticulous planning and countering your distractions may seem overwhelming, though, eventually, you’d realize that a well-thought out schedule would help you drastically improve your efficiency, besides finding you more time to relax and enhance your social life. Now, before go ahead building a schedule you should remember that the schedule should be made to fit for you, and not that you have to fit yourself according to it. You shouldn’t randomly fix an hour for a certain task and then try to push yourself into it without realizing that may not at all be comfortable with it. Rather than enhancing your efficiency it would have an opposite effect. Take the paper out where you had written about your timing preferences, add to it timings about other things that you love to do. Do not forget to include basic things like bathing, eating and all. Use this list to formulate your schedule. Next thing to do is arrange the work you have in order of priorities. Differentiate the projects that require your extreme attention from those that could be finished with minimum of the attention. Fix the priority tasks at the most productive hours of your schedule. You may assign the rest work to the lesser productive hours. And, keep the least productive hours for recreation and social time. Next comes the most important part. Since you’ve already figured out your task priorities and the most appropriate times to do them, it’s time you pen them down. Besides the priorities there are a few other things that you must take care of. Goal-oriented approach: It is a well-known fact that setting defined goals help you achieve better results with lesser inputs. Goals can be anything according to your own choices, for example a particular number of words per day, number of hours per day, or number of articles per day. You must remember that the goal you choose should be measurable and absolute. Plan the day with care: You should plan your entire day with extreme care. Apart from assigning sufficient time to each goal, there should be provision of adequate breaks in between. It is mandatory that you affix appropriate time to other things, comprising of social and personal aspects. If your schedule cannot take care of every aspects of your life, you would find yourself completely screwed. Occasionally, you would find yourself forced away from the course by problems that need your consideration and also by people who are significant to you. Keep a little time unassigned providing you flexibility to deal with such matters. Also, keep adequate time for relaxed meals, workouts, bathing and social meetings. Monitor your progress: Make it a habit to analyze you accomplishments at the end of the day, or you may even do so after each project. Note down where you might have wasted time, or events that could have slowed you down or hindered quality of your work. It’s no secret that time and quality for a freelancer is directly related to monetary benefits. In case of any noticeable problems make sure to amend your schedule accordingly. Deal with distractions: Sometimes you may not notice how little distractions can hamper your overall performance drastically and became an obstacle in your path to success. Factors like an unwanted visitor dropping uninformed at your house, net surfing, social networking, unwanted phone calls and any habit that might be disastrous for your time. Learn to tackle them quickly. You have to look for ways to either eradicate them completely or reduce them to a level when they can be fitted in your schedule without a problem. Next articleHow to change yourself from freelance writer to freelance writing business?